Flash Thompson has been a lot of things throughout the years. He’s been a bully. He’s been a friend. He’s been a teacher. But, most important of all, he’s now a hero. He didn’t need any kind of accident with radiation to become a hero. Instead, it was his courage that motivated him to become a better person; a selfless man who would put his life on the line to help someone else, and that’s exactly what he did after he joined the military. He may have been a jerk when he was young, but he’s always looked up to Spider-Man, and that alone is proof that he’s always had the desire to be a good guy. After suffering an injury while in combat, Flash eventually bonded with the Venom symbiote, a powerful alien that slithers on an individual and grants them impressive abilities, like superhuman strength, durability, and much more. Flash Thompson has come a long way since calling Peter Parker “Puny Parker” back in High School. He’s now traveling across the cosmos, helping people however he can in his new series Venom: Space Knight (click here to order). If you plan on following the new series – or if you’re already reading it – we want to make sure you get a proper connection to the hero. So, we have a few suggestions for you. 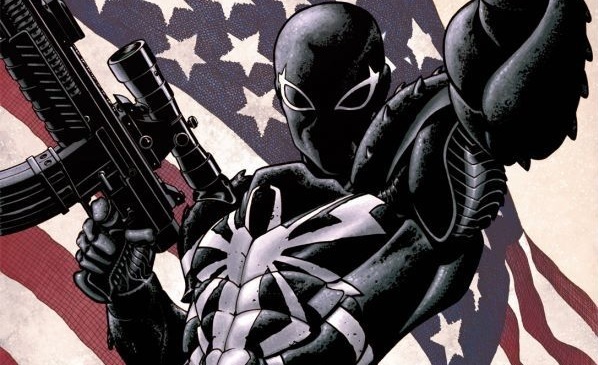 There’s, of course, many more Agent Venom appearances floating around out there, but these are a great way to start learning about the character. Midtown Comics brings you a look at the Marvel Select Venom action figure by Diamond Select Toys. Find it on our site here! Midtown Bloggerinos! 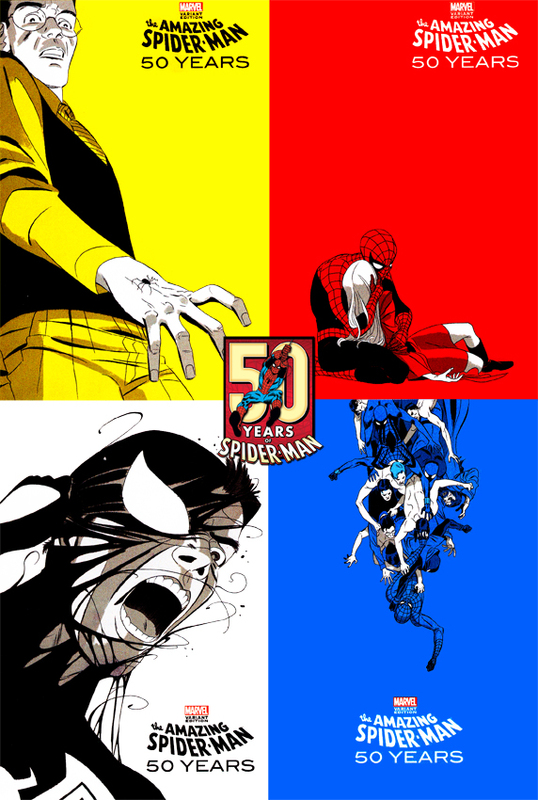 Raph here, with a special post regarding our favorite wall-crawler! 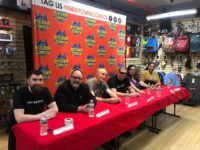 This year marks the 50th anniversary of Spider-Man’s first appearance, and we here at Midtown got to be involved in a special party with Marvel Comics involving the Cake Boss, Buddy Valastro, making a brilliant cake to celebrate. I’ll wait until the episode premiere to actually get into it, but for now, I’d like to share some of my favorite moments in Spider-Man’s history.